Smog testing for cars and trucks can seem like a frustrating task, and it can cause stress and confusion if you don’t know what you’re doing or how to choose a good Monterey County and San Benito County auto emissions testing center to help you get the smog testing and certification you need. Carefully choosing a local smog testing center in Salinas, San Juan Bautista, Seaside, Monterey, Soledad and Marina and other areas near you can help alleviate the stress, frustration and confusion. You’ll need good research, helpful tips and a course of action to get you the quality vehicle emissions inspections your car needs and the smog certification the DMV requires you to have. The following researched articles can help you on your search to finding the best local smog test and repair shop near you. Do You Need a Smog Test Only Shop, or Emissions Testing at a Local Test and Repair Center? When your vehicle is due for emissions testing, you have several choices. You can visit a STAR certified emissions testing location,or you can take your vehicle to another shop. Your options include test-only centers or test and repair stations in San Juan Bautista, Salinas, Carmel, Greenfield, Hollister and King City or your area. But in order to make an educated decision, you need to understand what those terms mean. Smog test only shops are those that are only licensed to provide vehicle emissions testing. They may not make any repairs to the emissions systems of vehicles in order to help those cars and trucks pass smog testing. Emissions test and repair stations are those licensed to provide smog testing and needed repairs to vehicle emissions systems so that they may pass smog tests. Additionally, STAR testing stations are specially certified to test and/or repair vehicles emission systems. These garages are more carefully monitored by the Bureau of Automotive Repair and they must operate to high standards in order to be STAR certified. Some consumers are required by the DMV to visit a STAR test and/or repair center for their biennial emissions test. These car owners are those whose vehicles have failed past smog tests, own a make and model that is known to be at higher risk for polluting, or chosen at random. Other vehicle owners choose to visit STAR auto smog stations because of the greater oversight. Why Trust Diamond Certified Auto Smog Shops Rated Highest in Quality? Local smog check stations can test tailpipe emissions like these. The following consumer agencies, organizations and associations have more information about smog testing, emissions tests and emissions system repairs. What Automotive Smog Testing Services Do You Need? It’s a fallacy that all Monterey County and San Benito County vehicle emission inspection centers offer the same services. While all of the local auto smog testing shops do provide CO2 testing and other emissions inspections, the range of services and attention to customer needs varies greatly from shop to shop. 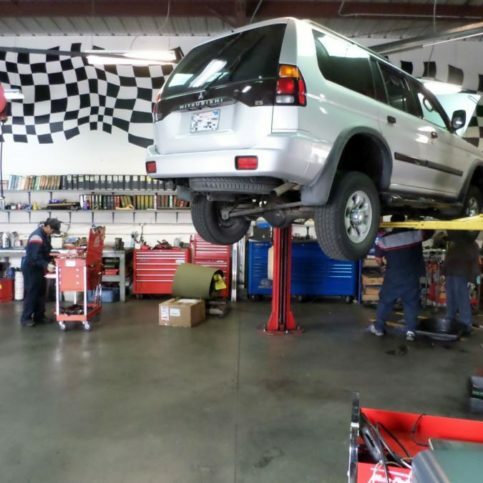 For example, some vehicle emissions inspections shops in Hollister, San Juan Bautista, Salinas, Seaside, Pacific Grove and Marina and other Monterey County and San Benito County towns are test-only stations, while others offer testing and repairs to faulty emissions systems. Others provide free follow-up testing, great customer service, fast turn-around times, STAR-certified testing, Consumer Assistance Program repairs and more. Before you begin your search for a good local smog testing shop, it’s wise to stop and think about your needs and expectations. That way, you’ll be better equipped to choose the shop that’s best suited to you. Do I want a Diamond Certified auto emissions inspection service that is rated best in quality and backed by the Diamond Certified Performance Guarantee? Do I need or want to get a smog test from a STAR smog testing station? Is the DMV requiring me to have my vehicle emissions inspection at a car smog test only station? Or can I choose to visit a test and repair shop? Do I understand the difference between test only stations and test and repair shops so I can find the vehicle smog inspection shop that best fits my needs? Do I need a vehicle smog check because I am selling my car? Do I want to choose among Monterey County and San Benito County smog test shops that offer value and quality instead of cheap car smog inspections alone? What personal and professional qualities am I looking for in a smog testing shop and its employees? Once you’ve compiled a short list of local vehicle emissions testing centers near you that can serve your needs, it’s time to visit those Monterey County and San Benito County smog test stations to get answers to your final questions and see in person the type of shop you’ll be dealing with and the employees who work there. How long will the smog testing take? If my vehicle doesn’t pass the emissions testing, will you tell me why it didn’t pass and help me figure out what repairs I need so that it will pass next time? Will you perform a physical exam of my vehicle’s emission system as well as the actual smog test? Does your shop also provide emissions system repairs along with smog testing? How do you assure customers that you are working for their best interest? Can you help me if I’m applying for CAP (Consumer Assistance Program) help with my auto smog repairs? It’s best to choose among Diamond Certified auto smog check centers because all certified companies have passed an in-depth ratings process that most other companies can’t pass. If you want quality from a auto smog check centers in Monterey County and San Benito County and the greater Bay Area, you can have confidence choosing a Diamond Certified company. If you can’t find a Diamond Certified auto emissions testing location in Salinas, San Juan Bautista, Seaside, Monterey, Soledad and Marina or within reach, you’ll have to do some research for yourself. You’ll want to call customer references provided by your auto smog check centers. 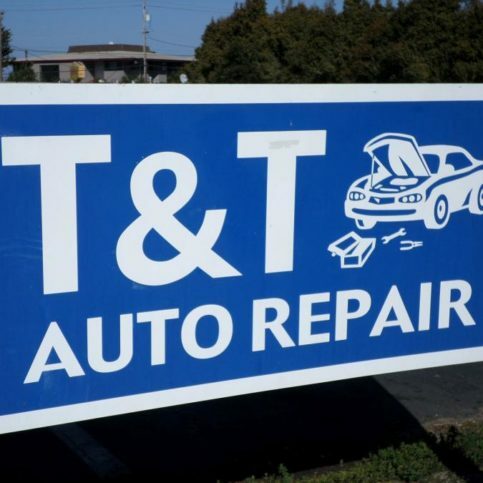 You should remember, however, that references provided to you by auto smog check centers are not equal in value to the large random sample of customers of vehicle smog testing services in Marina, Pacific Grove, Hollister, Seaside, Carmel, Gonzales and Greenfield and beyond surveyed during the Diamond Certified ratings process. That’s because references given to customers from smog testing companies are cherry-picked instead of randomly selected from all their customers. So the smog test facilities will likely give you a few customers to call that they know are satisfied. If you do call references on your own, ask for a list of the smog center’s 10 most recent customers. This will help avoid them giving you the names of only customers they know were satisfied. Then, call and ask them your questions. 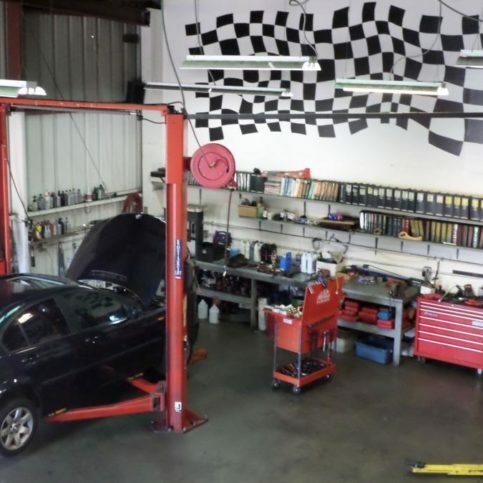 They have first-hand experience with the Monterey County and San Benito County auto smog centers in question, and they can share with you more about what you may be able to expect from the services at the vehicle emissions testing locations you’re considering. The following sample questions will get you started. Add to this list any other questions you want the auto smog shop customers you speak with to answer. 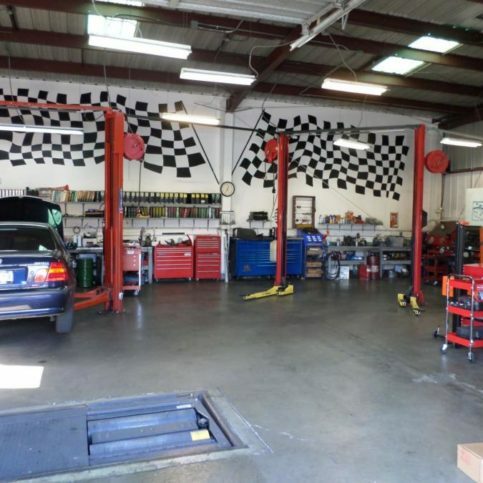 What services did this Monterey County and San Benito County auto smog center provide for you? 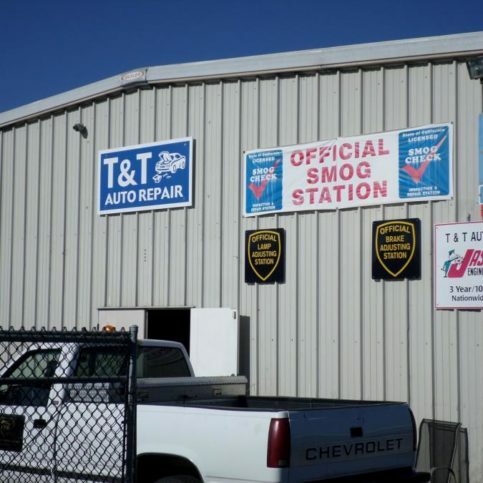 Were you satisfied with the service you and your vehicle received from this car smog testing location? Were you pleased with the turn-around time from this Monterey County and San Benito County vehicle smog testing station? Did the smog testing technicians communicate well with you and listen to your concerns? If you needed emissions repairs, was this shop able to help you or recommend another shop that could provide those repairs? Do you think the price was fair for the services you received? Was this shop a good value for the price? What did you like best about this Monterey County and San Benito County smog testing location? Would you recommend this emissions testing service to your friends or family? What should I know about working with this shop? Before deciding on the best auto smog check centers in Monterey County and San Benito County for you, review your interview notes and consider the following questions. This will help you make a smart decision and help you feel comfortable that you’re making the best decision for you and your car. You’ve carefully researched local auto smog locations near you, including interviews with the shop service managers and their customers. Now you have all of the tools you need. Can one of the vehicle emissions testing services in San Juan Bautista, Salinas, Carmel, Greenfield, Hollister and King City or another area meet your needs in terms of auto smog testing services, price, value, scheduling and more? Does one of the shops have staff that make you feel cared for? Is there a smog testing center in Monterey County and San Benito County that is dedicated to helping you pass the testing and get your car back on the road with low emissions? Does one of the emissions testing centers stand out above the others as the best choice for me and my vehicle? Vehicle emissions testing doesn’t have to be an ordeal. You’ve found a local Monterey County and San Benito County smog testing shop that you trust after performing interviews and doing some research. Now, you should have peace of mind that you’ll get the smog services you need from a fair, honest emissions testing center. First, you’ll want to set up an appointment (if required) with your chosen smog center in Hollister, San Juan Bautista, Salinas, Seaside, Pacific Grove and Marina or your area. Talk with them about what you need, what they recommend, and anything you need to do to make your smog testing a success. Ask about cost. There is a DMV smog certification fee, which some local smog check centers add into their overall prices for one flat fee. Others tack this fee and taxes on to their advertised prices, making them much higher than expected. It’s important to find out the total you will pay and what is included in the deal before you make a decision. Remember, as with any other service, you are more likely to get good service if you’re shopping for the best overall value not the lowest cost. When you’re satisfied with what the Monterey County and San Benito County smog center you’ve chosen is offering you, you’ll want to secure those services by signing a contract or the estimate you’re given. This contract should reflect the services to be performed, all certifications you will receive, the expected cost, and any responsibilities you bear. Remember is that you are responsible to live up to any promises you make in writing and in official contract with car smog services in Salinas, Gonzales, Monterey, Seaside, Soledad, Marina and Hollister and beyond. Never sign an estimate or contract you don’t understand or you don’t agree with. Ask for clarification if you need to, and only sign an estimate or contract for work you agree to have done. Once you’ve signed this service contract, your auto smog services will move forward as planned. Passing the smog test is the goal of every consumer, and we all want cleaner air to breathe. But if your car isn’t maintained correctly or is having engine problems, that can be a harder task than expected. Below are a few simple steps you can take long-term and immediately before your vehicle emissions test that can help your vehicle pass smog testing with ease and keep your car running cleaner between emissions tests. Regular vehicle maintenance is the best way to help your car or truck pass smog testing. Tampering with the emissions hardware can make your car fail, so avoid aftermarket changes to your vehicle emissions system. Ensure their Check Engine light is not on. While that won’t guarantee a failing grade, it can signify a problem with the emissions system. Perform an oil change if needed. Dirty oil can cause more emissions. Properly inflate your vehicle’s tires to the manufacturer’s recommendations. Drive your car at highway speeds for two weeks before your smog test, as short trips can make emissions systems less effective. It is also recommended to drive your vehicle for several miles at highway speeds immediately before your smog test so that the engine is warm and the exhaust system is clear. Make sure your coolant and gas tanks are full. Fumes from low coolant and gasoline can cause false high readings. Visit your vehicle emissions testing center on a clear day. Rainy days and high humidity can cause false fails. Use a fuel additive to clean your engine in the weeks prior to your car smog testing. Get a pre-inspection on any vehicle you are worried about not passing. However, these aren’t recommended for newer cars or vehicles that you have no reason to think won’t pass smog testing. 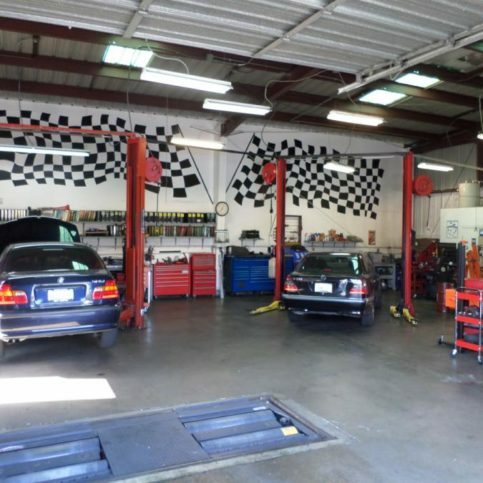 The best vehicle emissions testing and repair centers in Monterey County and San Benito County offer fair smog testing and certification prices, quality auto smogging services, and honest and reliable auto smog repair services. You may need to do nothing more than bring in your vehicle and wait for the auto smog check to be completed. 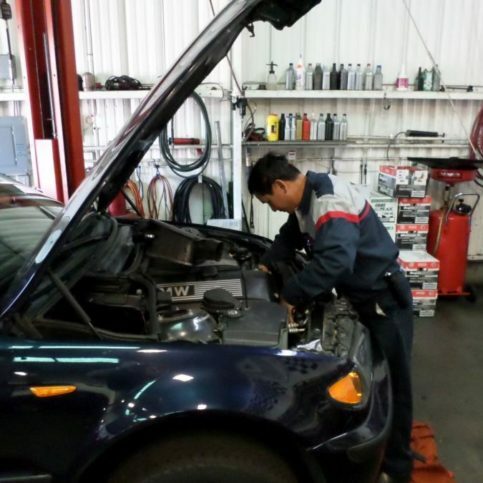 However, there are a few things you can do to increase your chances of finding reliable, high-quality smog certification services and customer care at smog check centers in Salinas, San Juan Bautista, Seaside, Monterey, Soledad and Marina, Molus, Aromas, Nacimiento, Llanda, Carmel Highlands, Confederate Corners, Panoche, Spreckels Junction, Soledad, Sand City, Tassajara Hot Springs and other areas near you. Here are a few simple steps good customers take when working with Monterey County and San Benito County auto smog check centers and auto smog repair shops. Be upfront with the auto smog check center you choose. Let them know what you are expecting and specific ways they can satisfy those expectations. Remember, a smile goes a long way in building and maintaining a friendly working relationship. A friendly attitude can also put to rest any tensions or conflict. Before you sign a contract for car smog testing in Monterey County and San Benito County, restate your expectations and goals, and reiterate your understanding of the agreement. Most problems with local car smog testing locations occur because of a breakdown in communication. Being clear about your expectations and theirs can help you avoid most conflicts. Ask your auto smog testing center if you should call to check on the progress or if they will call you with updates. Be sure your service representative has a phone number where they can reach you at all times while they’re testing your car’s emissions. The work will move along more smoothly if your car emissions testing shop can reach you for any necessary updates, questions or work authorizations. Return calls from your vehicle emissions testing service to keep your auto smog test on schedule. Pay for the auto smog work promptly. Why would you want to be a good customer? Vehicle emissions testing centers in Monterey County and San Benito County appreciate customers who are straightforward, honest and easy to work with. Your good customer behavior sets the tone from your end and creates an environment conducive to a good relationship. Things may very well go smoother and any problems with your vehicle emissions shop may be more easily resolved. Once your smog testing is completed, you should receive a report that explains whether your vehicle has passed the emissions testing. It will also list any other recommendations. Your smog technician should answer any questions you have about the testing results and recommendations. Additionally, you should receive an itemized invoice for services rendered. Review this invoice and make sure it includes all of the services you requested and signed for on the original estimate or contract. The auto smog testing garage name, physical address and state license number. The total cost for the auto smog check centers services, including the itemized amount charged for labor. A written explanation of any warranties or guarantees provided by the product manufacturers and the auto smog check centers contractors. Smog testing can be fairly simple in terms of services available. However, local vehicle smog testing locations in Salinas, Gonzales, Monterey, Seaside, Soledad, Marina and Hollister and other areas offer a variety of services, testing and repairs. Some of the more commonly-requested ones are detailed below. 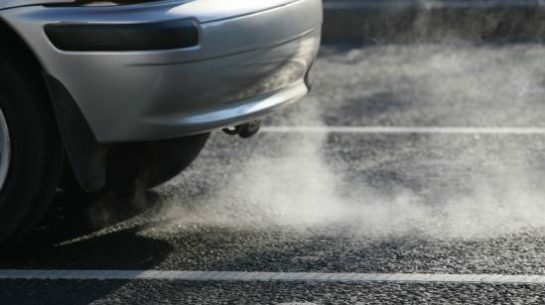 Vehicle emissions testing is the testing of emissions fumes, vapors, gasses, odors and other pollutants that escape from the engine of a gasoline or diesel-powered vehicle. California requires that all cars older than four years must have their emissions tested every other year. Smog certification is required by the DMV for all vehicles in California. This certification verifies that a given vehicle has undergone and passed auto smog testing. A certification is required every other year and must be performed by an official smog testing station. Smog test only centers are those that are licensed to test auto emissions. However they cannot repair emissions problems. These centers are sometimes trusted by car owners for reliable auto testing results, since the vehicle emissions testing results cannot benefit the test only center since they don’t provide repairs. Some local car owners are required by the DMV to visit a test-only station. These are usually vehicles that have failed smog tests in the past, are a make and model at risk of failing, and randomly selected vehicles. Vehicle smog test and repair centers in Monterey County and San Benito County, including Marina, Pacific Grove, Hollister, Seaside, Carmel, Gonzales and Greenfield, Boronda, Chualar, Del Monte, Pacific Grove Acres, Logan, Morse, Bradley, Cottage Corners, Neponset, River Oaks, Soledad, Spreckels, Wunpost and other areas, are those that are legally allowed to provide both smog testing and repairs for vehicles that do not pass emissions testing. These may be minor or major repairs to vehicle emissions systems. Smog test and repair centers are usually honest, but consumers are recommended to carefully check references so that they aren’t duped by shops that give false fail readings only to profit from the repairs. Every vehicle that has undergone smog testing services in Monterey County and San Benito County and the rest of California has their complete smog check history listed online at the Bureau of Automotive Repair Smog Check History Lookup. This will tell you whether a vehicle you are purchasing or driving has passed or failed previous smog tests. STAR smog checks are those provided by specially-licensed emissions testing stations that are more closely monitored by the Bureau of Automotive Repair. These smog stations are verified to adhere to the standards set up for auto smog shops in Monterey County and San Benito County and the rest of the Greater Bay Area. If your DMV smog testing notice requires you to visit a STAR station, you must choose among local stations that are designated with the STAR logo. Some are test only cneters, while others are test and repair stations. The Department of Motor Vehicles is the agency that requires smog testing, and it is the agency that sends out smog requirement notices and collects certifications once emissions testing has been performed. Emissions testing requirements may vary depending on the vehicle you drive, past smog testing results, and more. Check the smog testing notice you receive from the DMV to learn if your vehicle is required to be tested at a STAR station, a test only station or has other requirements placed on it. Carbon dioxide, also known as CO2, is a greenhouse gas that’s emitted through gasoline powered and diesel powered engines. Vehicles in the state of California are required to have carbon dioxide testing performed along with a general smog emissions test every other year once they’ve reached the age of four years. Vehicles listed as gross polluters are vehicles that are a significant source of smog emissions. Gross polluter vehicles are those that have a history of failing emissions testing or are of a make or model that is known to have high emissions. Gross polluter vehicles must be tested by a test only station. Those that fail the initial testing must be repaired at an emissions repair center and then return to a test only station, state referee smog station or a CAP repair center for further testing and certification. Gross pollution often occurs in the form of smoke coming from the tailpipe. Vehicles that fail the biennial smog check may qualify for the Consumer Assistance Program, or CAP, for smog system repairs. Financial assistance available includes $1,000 toward retiring a polluting vehicle for those who want to trade in an old vehicle rather than repair it, and up to $500 toward emissions systems repairs. Individuals must qualify for this assistance by being income eligible or test only eligible. Applications are available at www.smogcheck.ca.gov or 1.800.952.5210. This glossary includes terms and definitions that will help demystify the vehicle emissions testing process. The California Air Resources Board is the agency that oversees air quality in the state of California. Also known as the Air Resources Board, the CARB writes and enforces the rules and regulations for air quality standards. Average emissions are the number of average emissions that serve as a guide for auto smog repair technicians when a vehicle fails its smog check. Average emissions are set based on the model, year, and type of vehicle (passenger car, light truck, medium truck, heavy duty truck, etc.). The Bureau of Automotive Repair, or BAR, is California’s consumer protection agency for vehicle owners. 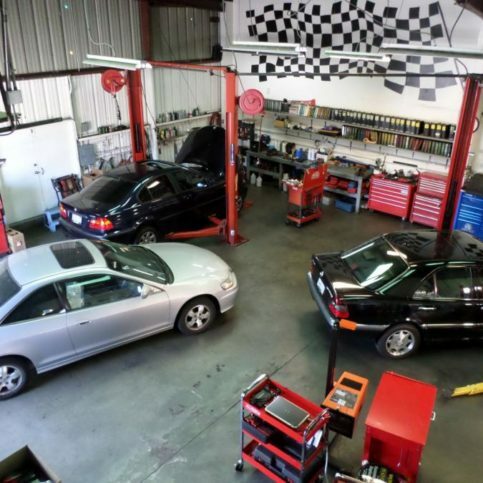 The BAR licenses and oversees auto repair dealers, smog check stations and smog check inspectors. The Bureau also investigates consumer complaints about smog check stations, vehicle emissions testing centers and other automotive repair and maintenance issues. Carbon dioxide is an odorless, colorless greenhouse gas. It is generated by gasoline powered and diesel powered engines. Carbon dioxide is one of the pollutants that auto smog testing looks for. concentrations. Carbon monoxide emissions occur when fuel is too rich. Large amounts of carbon monoxide emissions can cause a vehicle to fail its smog test. Catalytic converters are an auto part above the muffler that burns hydrocarbons, carbon monoxide, oxygen, and nitrogen oxide into carbon dioxide and water vapor for use by the vehicle. The Consumer Assistance Program helps consumers whose vehicles have failed their vehicle smog test. The CAP can provide up to $500 in auto emissions system repairs, and $1,000 to $1,500 to consumers who would rather retire a failing vehicle than repair it. Cars and trucks that must visit a test-only station or STAR emissions testing station are known as directed vehicles. These vehicles are usually those that have a history of failing smog tests, are a make or model known to fail, or have been chosen by random selection for test-only emissions certification. The California Department of Motor Vehicles is the licensing agency for vehicles. It also is the agency that requires vehicles to be smog certified and directs certain vehicles to test only stations. Emissions standards category is the pass and fail emission level points for vehicles. Vehicles manufactured from 1976 to 1995 have different ESCs based on their model, make, type, weight, and transmission and engine size. Emissions testing uses an analyzer to test the emissions coming from your vehicle’s tailpipe. Emissions tests and smog tests measure carbon monoxide, carbon dioxide, hydrocarbons, oxygen and nitrogen oxide. Vehicles that fail these emission tests may be labeled gross polluters and are required to be repaired and to pass another emissions test to be certified. Evaporative Emission Control System, known as EVAP, prevents raw gasoline from evaporating into the atmosphere. Auto smog testing inspectors often test the EVAP system for defects, modifications and problems. The EVAP system is part of the smog certification process, and a vehicle can pass or fail based on this part of the test. Auto exhaust is the gasses that are produced when fuel combusts in the engine. Exhaust can also be the term used for the exhaust system of a vehicle, including the catalytic converter, muffler and tailpipe. Flaws in fuel caps can cause a vehicle to fail emissions testing. Gasoline fumes can leak out around ill-fitting or cracked fuel caps, so smog testing professionals will often perform a visual test to look for any defects, cracks, deterioration, seal problems or other flaws. They will aolso detect ehwther there is any fuel evaporation fumes coming from the fuel cap area. Functional inspections performed during a smog test include checking the mechanical systems of the vehicle, including the EGR, MIL, OBD II, ignition timing, fuel cap, and evaporative emissions systems. These systems, when leaking, can contribute to unhealthy air quality, so vehicles who fail this functional inspection can fail the overall smog inspection. Vehicles that fail emissions testing are known as gross polluters. Typical emissions of gross polluters are usually at least two times higher than a regular failing vehicle. Gross polluting vehicles must be tested and certified by test only or STAR. Grey market vehicles are cars and trucks that were manufactured outside of the United States and are not originally designed to meet federal vehicle emissions standards. These vehicles must be modified and tested in order to be legal to drive in California. The amount of each pollutant that is measured during a typical auto smog emissions test. OBD II stands for OnBoard Diagnostics II, and is the second generation of on-board self- diagnostic equipment in vehicles. These on-board diagnostics include Check Engine lights and other warning lights that alert drivers of defects or problems in the emissions system that need to be repaired by a professional. Smog test only stations are licensed smog check stations that are only allowed to test vehicles. They cannot make repairs to vehicles that fail smog inspections. Smog test and repair stations are licensed smog check stations that can perform smog testing and repairs to vehicles. 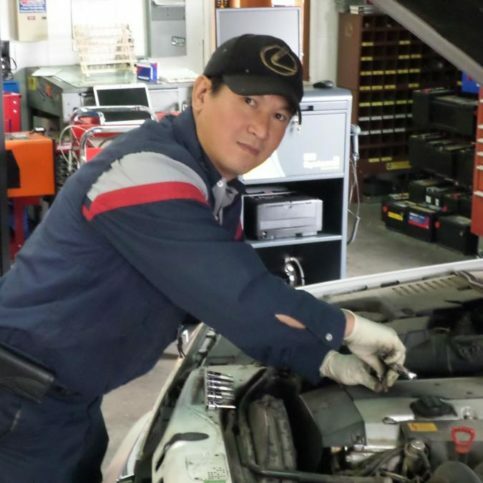 The STAR program is a state program that certifies certain stations that are more closely monitored by the BAR to perform smog testing and repairs. A smog check certificate is the DMV smog certificate given to vehicles that pass smog testing. Some smog testing shops offer coupons for emissions testing. While some of these coupons are legitimate ways to save money, but some can be a bait-and-switch tactic to get customers in the door. As with every type of business, be wary of deals that seem to good to be true. Vehicle inspection reports are printouts that show the consumer how their vehicle fared in the vehicle inspection. It also shows the readings, emissions results, and the station information. Q: Why choose Diamond Certified auto smog check centers? A: Diamond Certified helps you choose a auto smog check centers with confidence by offering a list of top-rated local companies who have passed the country’s most in-depth rating process. Only auto smog check centers rated Highest in Quality earn the prestigious Diamond Certified award. Most companies can’t pass the ratings. American Ratings Corporation also monitors every Diamond Certified company with ongoing research and ratings. And your purchase is backed by the Diamond Certified Performance Guarantee. So you’ll feel confident choosing a Diamond Certified auto smog check centers. Q: Which vehicles qualify for smog testing or emissions testing exemptions? A: All vehicles must be smog tested except those that are hybrids, electric vehicles, gasoline-powered vehicles made in 1975 or before, diesel vehicles with a gross vehicle weight rating of more than 14,000 pounds that were manufactured in 1997 or before, and natural gas vehicles weighing more than 14,000 pounds. Motorcycles, trailers and other non-car vehicles do not need to be smog tested. Ask your local smog testing center if you have questions about your specific vehicle and whether it needs to have emissions testing services performed. Q: Is there financial assistance available for me if I can’t afford my smog repairs? A: Yes. The CAP, or Consumer Assistance Program, helps low-income car owners may be able to help. The CAP offers $1,000-$1,500 to consumers who want to retire their old vehicle and who qualify for the program. The program also helps car owners afford repairs on their auto emissions systems so they can meet the smog check inspection requirements. To see if you qualify, visit www.bar.ca.gov, fill out the CAP application form at http://smogcheck.ca.gov/pdf/cap_app.pdf or call 1.800.952.5210 for more information. Q: I’m buying a used car. Who has to perform and pay for the DMV smog inspection? A: When you buy a used car, the seller is responsible for providing the buyer with a valid smog inspection certificate. You should note that cars newer than four years old and powered by gasoline are not required to be smogged or have a smog certification when ownership is transferred. Q: What are STAR smog stations and how are they different from other auto emissions testing centers? A: The STAR Program is the new smog check program that replaced the Gold Shield Test Only Program as of January 2013. 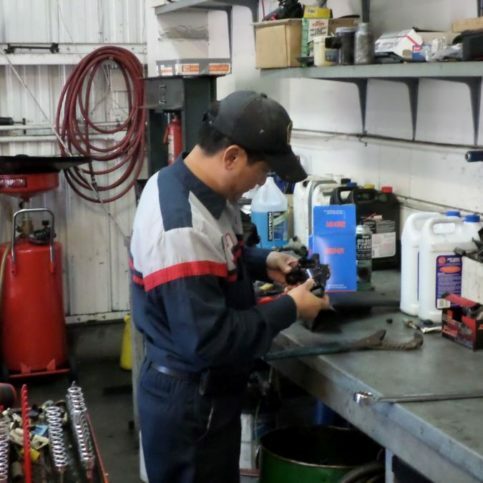 STAR stations are smog check stations that are more closely monitored by the Bureau of Automotive Repair and are required to meet the high standards set by the Bureau. Some vehicle owners are required by the DMV to have their smog checks and/or repairs performed at a STAR station. 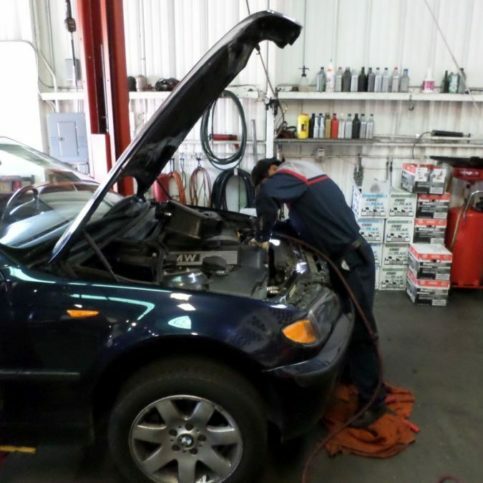 If so, you must go to a STAR Test & Repair Station for your auto emissions testing and repairs. You will know that a station is a STAR station if it has the official State of California STAR logo. Q: What does a smog check cost? Q: My car failed the smog inspection. What do I do? A: You can have your vehicle diagnosed and repaired at a test and repair smog station, apply for financial assistance through the CAP program, or For more information or to set up an appointment with a smog referee, contact the Bureau of Automotive Repair at 1.800.622.7733 or online at www.bar.ca.gov. Q: What are test-only smog stations, and why would the DMV require me to go to a test-only emissions testing center? A: Smog test-only stations are vehicle emissions test centers that do only testing, no emissions system repairs. Test-only stations will test your vehicle and advise you to visit a certified test and repair smog center for any needed repairs. Some consumers feel safer having their smog certification tests done at a test-only station because they avoid the appearance of a conflict of interest because they do not do repairs. The DMV may require consumers with gross polluter vehicles, high emitter profiles and other issues to visit a test-only station for their auto emissions test. Q: What should I take with me to my car smog check appointment? A: For registration renewals, all you need to take with you is your vehicle, DMV registration renewal notice, and a form of payment. For smog checks on vehicle transfers, you’ll also want to bring your auto registration documentation. Q: How often do I have to take in my vehicle for a smog test? A: Smog testing or car emissions testing is required every other year on all vehicles that are older than four years old. You also need to have a smog test done if you are selling your vehicle. Q: Can I make sure my vehicle passes the smog emissions testing? A: Regular vehicle maintenance is the best way to help your car or truck pass smog testing. Tampering with the emissions hardware can make your car fail, so avoid aftermarket changes to your vehicle emissions system. Consumers are also recommended to make sure their Check Engine light is not on (while that won’t guarantee a failing grade, it can signify a problem with the emissions system), perform an oil change if needed, properly inflate your vehicle’s tires, drive your car at highway speeds for two weeks before your smog test (short trips can make emissions systems less effective), make sure your coolant and gas tanks are full, visit your vehicle emissions testing center on a clear day (rainy days and high humidity can cause false failure readings), use a fuel additive to clean your engine, and get a pre-inspection on any vehicle you are worried about not passing. It is also recommended to drive your vehicle for several miles at highway speeds before you have the smog test done so that the engine is warm and the exhaust system is clear.